The 2019 International Woodcarving Show took place at the Austrian Open-Air Museum, Stübing. 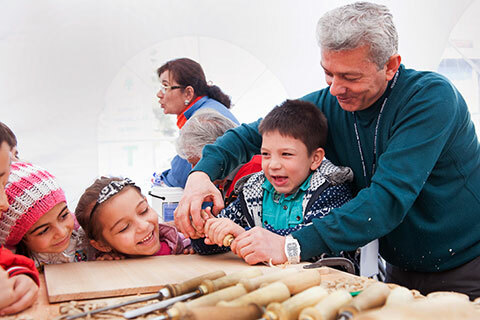 With equal passion and love for wood, 90 artists from around the world showcased their craftsmanship at World Wood Day Austria 2019. 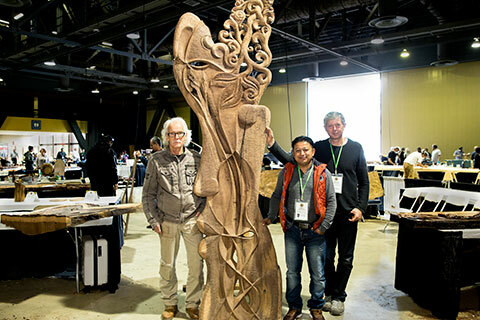 Austria stone pine aka Queen of Alps was the material provided for on-site demonstrations to illustrate each woodcarver's own interpretation, either as an individual or as a team collaboration, of this year's theme "Change." 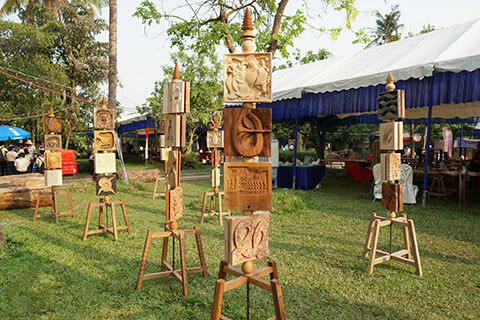 The woodcarvers also each brought a small wood panel especially made for the International Woodcarving Show to create forest totems. 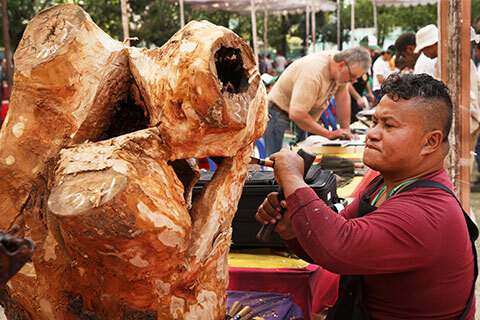 In its second year, the forest totems were assembled on site with cross-program participation from woodturning, woodcarving and young adult furniture making. 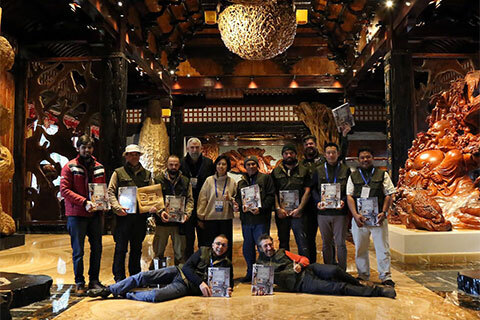 The creativity and originality of 90 artists not only inspired and influenced each other but to other artisans participating in the World Wood Day event as well. All the final pieces were presented at the Congress Graz for the final exhibition, alongside other artworks with World Wood Day programs. 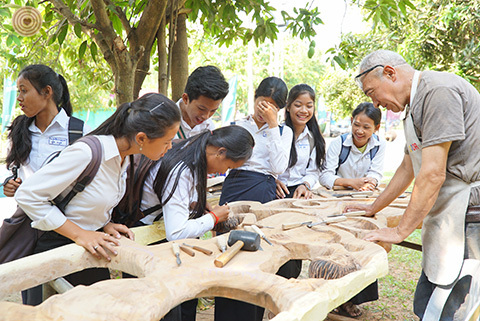 Participants and public alike were able to appreciate and enjoy diverse skills, cultures and interpretations of Change for a sustainable future.